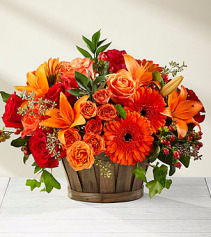 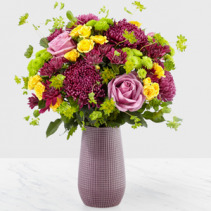 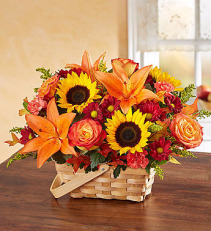 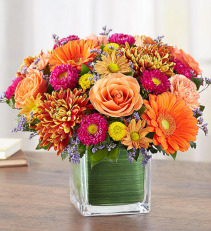 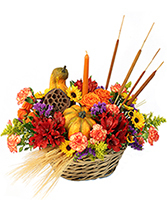 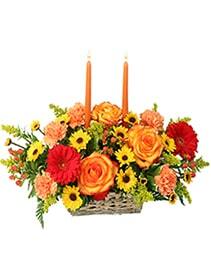 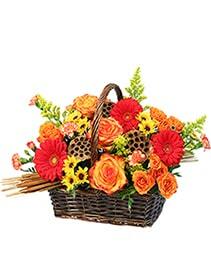 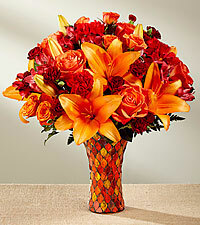 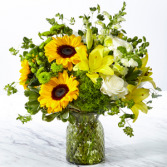 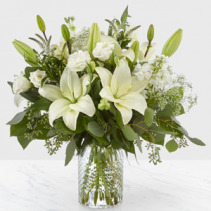 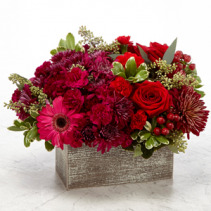 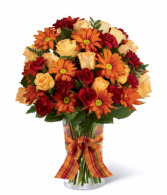 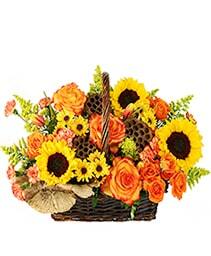 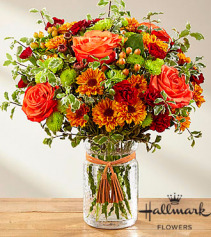 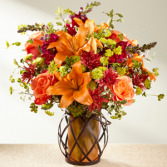 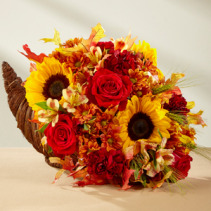 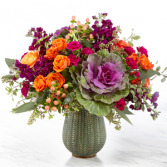 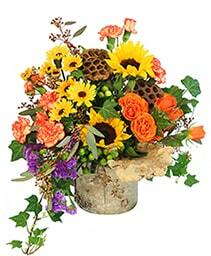 A Basket of showcasing rich red roses, orange spray roses, orange roses, orange gerbera daisies, orange Asiatic Lilies, red hypericum berries, and an assortment of lush greens. 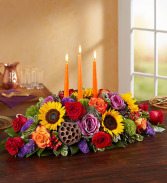 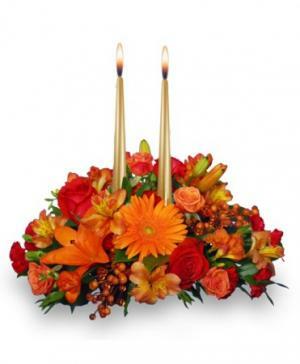 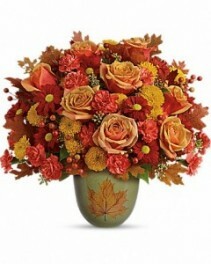 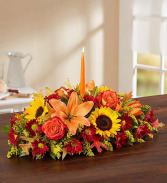 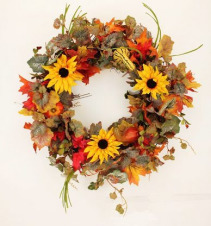 Lantern decorated with fall silk flowers. 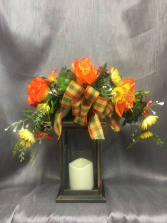 It has a battery operated candle to last.